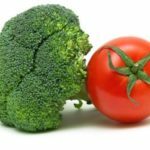 Since cimetidine is so well known as an H2 blocker medication to reduce stomach acid secretion, its role in cancer treatment has been grossly overlooked. This same misperception occurred when aspirin was first recommended to prevent a heart attack or stroke. Doctors were accustomed to prescribing aspirin to relieve pain and inflammation, but were unfamiliar with the concept of taking aspirin to prevent cardiovascular disease and thrombotic events. To date, the proven benefits of cimetidine to treat cancer have not been recognized by the medical community. The results of a brand new study on colon cancer patients may provide enough compelling evidence to convince oncologists that cimetidine is an effective adjuvant therapy. The first studies suggesting that cimetidine (Tagamet®) might be effective against cancer were published in the late 1970s. Scientists initially thought that cimetidine worked by enhancing immune function. Later studies showed that cimetidine functions via several different pathways to inhibit tumor cell propagation and metastasis. In 1988 a prospective, randomized, placebo controlled study investigated the effect of cimetidine on the survival of 181 patients with gastric cancer. They were given either cimetidine at a dose of 400 mg twice daily or placebo for two years or until death. The study found that those given cimetidine had a significantly prolonged survival rate particularly in patients with more serious (stage II and IV) disease.1 This finding is especially notable in light of what we know today about the mechanism of action of cimetidine. In 1994, a study was performed that demonstrated that just seven days of treatment with cimetidine (five days pre-operative and two days post-operative) decreased the three-year mortality rate from 41% to 7% in colorectal cancer patients. Another observation was that the tumors from the treated patients had a significantly higher rate of infiltration by lymphocytes.2 These tumor infiltrating lymphocytes (TIL) are a good prognostic indicator because they are part of the body’s immune response to the tumor. With more TIL present, the body is more capable of attacking and eliminating the tumor. These observations led the scientific community to hypothesize that cimetidine functioned by augmenting the immune response to cancer in some fashion. The latest study published in the British Journal of Cancer, January, 2002, was conducted through the collaboration of 15 institutions in Japan. After surgery to remove the primary tumor followed by IV Mitomycin chemotherapy, all patients were given either 200 mg of oral 5-FU or 200 mg of 5-FU with 800 mg of oral cimetidine daily for 12 consecutive months. The patients were followed for 10 years. The study showed a more than three-fold improvement in 10-year survival of Dukes C colon cancer patients who were given cimetidine. Interestingly, the less aggressive forms of colon cancer (Duke A or B) did not respond as remarkably to the addition of cimetidine in this study as the more aggressive Dukes C.
Cimetidine works mainly by preventing the adhesion of cancer cells to blood vessel walls. A metastasis starts when a cancer cell circulating in the blood attaches itself to the wall of a blood vessel. Cimetidine inhibits the production of E-selectin (ELAM-1), a molecule in blood vessels to which cancer cells can adhere by means of their own cell surface binding agents (ligands), Lewis X and Lewis A. This prevents cancer cells from adhering to blood vessel walls, and establishing a new tumour. Instead, they are eventually eliminated. In one cimetidine trial, the ten-year survival rate of patients who had undergone the surgical removal of a colorectal cancer was increased from 49.8% to 84.6% when they were treated for a year after with cimetidine as an adjuvant to the chemotherapy agent 5-fluorouracil. Other trials have also demonstrated significantly enhanced survival rates when patients have received cimetidine. The beneficial effects of cimetidine in the treatment of colon cancer are well documented. 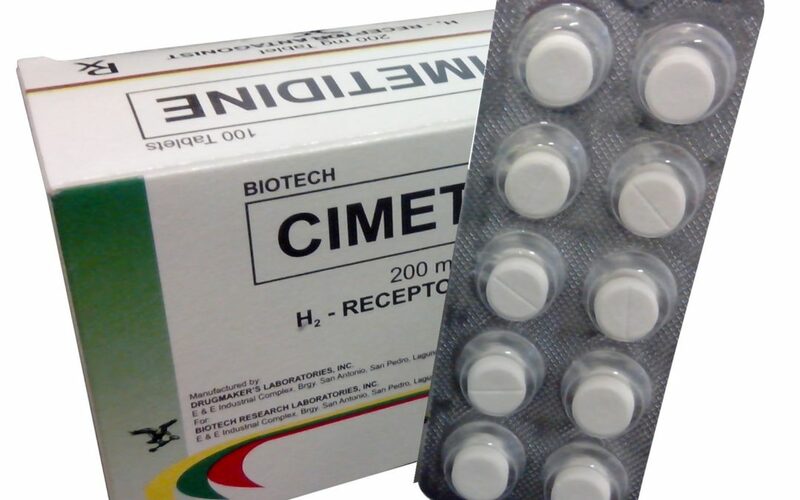 These effects probably arise from the multiple actions of cimetidine as an H2 receptor antagonist, an immunomodulator and as an inhibitor of adhesion molecule expression, but it is not yet approved by the FDA for use in these diseases. Since cimetidine’s effect was not studied without the inclusion of another drug (5-FU), it is unclear if the effect is additive or synergistic. The proven mechanisms of action of cimetidine suggest that alone it would significantly alter the ability of certain colon cancers to grow and metastasize, however, further studies should be done to evaluate and document the efficacy of cimetidine on its own. Complement a Cimetidine treatment with a The Professional Rife Machine, Version 2 Machine. The fundamental research by Dr. Royal Raymond Rife is the hallmark of this treatment approach. His research in the 1930s still stands out, and it has come down through the years in the development of the Rife Digital devices. Royal Raymond Rife is one of the greatest scientific geniuses of the 20th century. In 1932 Rife had isolated the cancer virus. He learned how to destroy it in laboratory cultures and went on to cure cancer in animals. In 1934, he opened a clinic which successfully cured 16 of 16 human cases within three months time. Working with some of the most respected researchers in America along with leading doctors from Southern California and using the original “Royal Rife Machine” Rife electronically destroyed the cancer virus in patients, allowing their own immune systems to restore health. Post clinical trials conducted in 1935, 1936 and 1937 by the head of the U.S.C. Medical Committee verified the results of the Rife experiment. Independent physicians utilizing the equipment successfully treated as many as 40 people per day during these years. In addition to curing cancer and other deadly diseases, degenerative conditions such as cataracts were reversed. Rife had been able to determine the precise electrical frequency which destroyed individual micro-organisms responsible for cancer, herpes, tuberculosis, and other illnesses. His work was described in Science magazine, medical journals, and later the Smithsonian Institution’s annual report. The Latest edition The Professional Rife Machine, Version 2 duplicates the electro therapy treatments into a modern hand held package using latest Chip technology and frequency algorithms in an easy to use “Dial Up” frequency programmable device. This website is intended for educational purposes and is not intended to replace the advice, diagnosis or recommendations of your own physician or healthcare provider. The information on this website is provided without warranties of any kind either express or implied.